Whenever I find an opportunity to convey the message to young talented students, I never miss jumping inside the public academic pool. 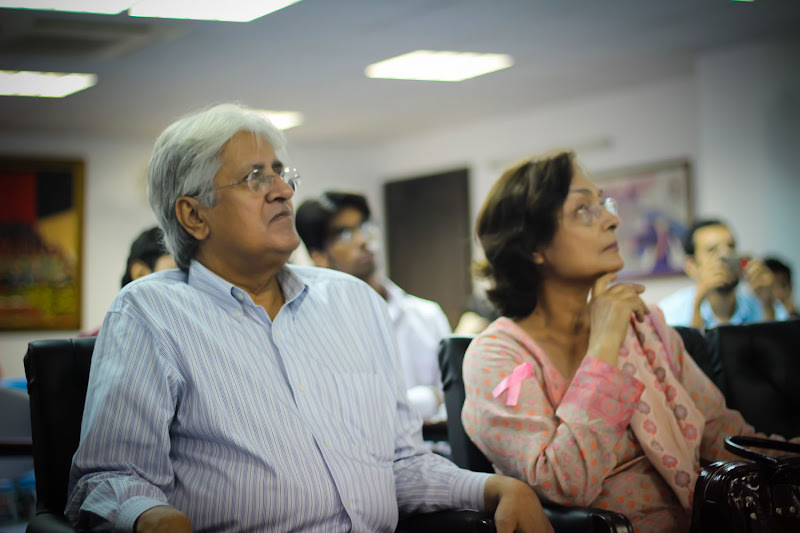 On 6th October, 2012, the Media Marketing and Management Team at Greenwich University (located in defence Karachi) organized "The Social Affair 2012" event. The event aimed at celebrating the viral spread of social media websites locally and how it has helped individuals in different ways. 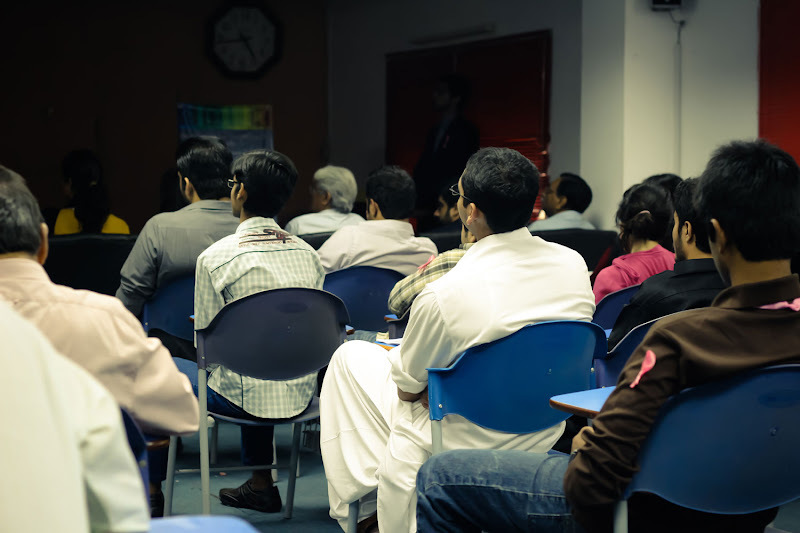 Around six professionals from different IT fields were invited to share their precious experiences with the students. I was fortunately one of the invited Guest Speakers for the evening and the topic I chose was "Make Money Online From your Living Room". It turned out to be one of the most memorable events of my life with tons of warm feedback and appreciation from everywhere. 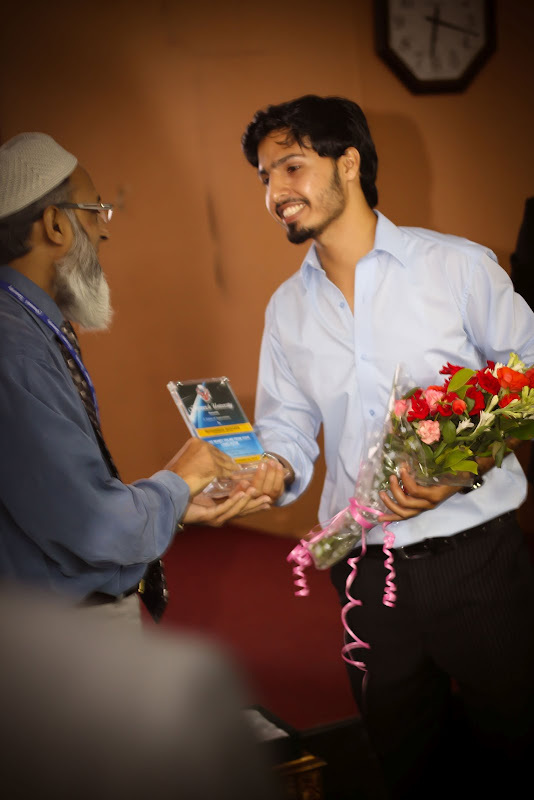 The hospitality I received from the organizers, faculty members and enthusiastic young students can't simply be thanked enough. I would like to give some highlights of the great experience I had that day. 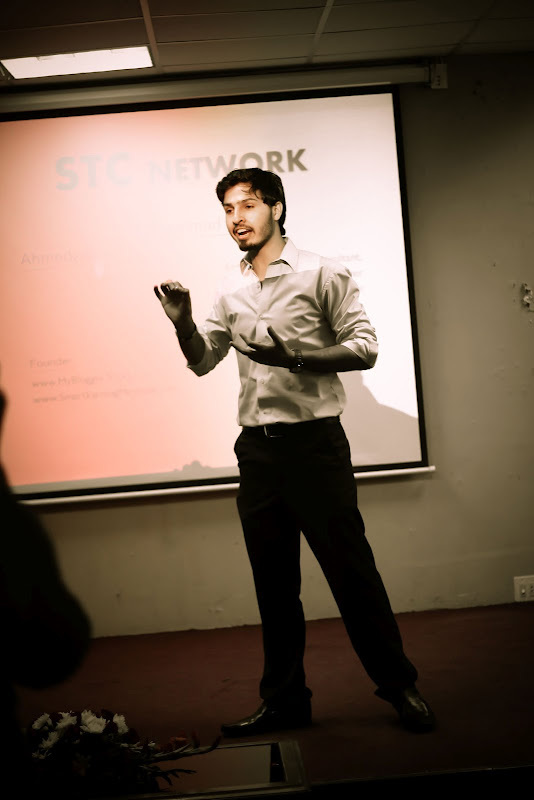 I tried to utilize the time by sharing some practical & smart earning methods with the audience in order to enable them to make a living online within SIX MONTHS by applying correct legitimate ways and strategies. This time I tried to offer a more realistic approach to the topic by sharing a little of my background history dating back to the time when I was no more than just a Plastic Bag seller. 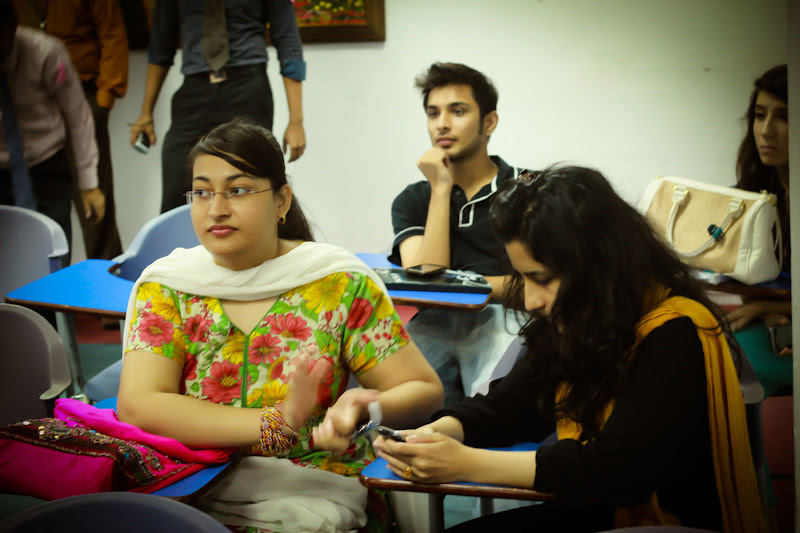 Blogging and Internet Marketing are still growing terminologies in Pakistan and India. Fortunately today when I ask a crowd "What a blog is?" I at least get some interesting answers unlike 2010 & 2010 when the crowd was often dumb found on this question. Teenagers today has good grasp of Freelancing communities for making money online but there's still a dire need to educate them with more effective online earning methods for a lucrative online business. 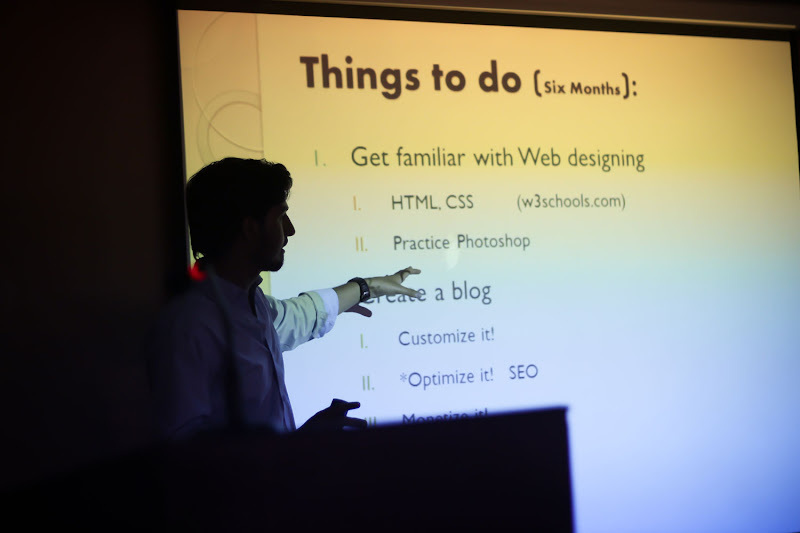 Keeping this necessity in mind, I always try to guide them in developing the right skills to survive in online industry. Last year we proposed a business plan for School, College and university students and this year I focused on encouraging students to understand the value of developing skills, applying and implementing whatever they learn and moving ahead with a crystal clear strategy. Blogging today is mostly misinterpreted and its earning is narrowed down to Advertisements alone like AdSense. This is a wrong approach of starting a website with a goal to make a living online. Advertisements should count only for 10% of your entire earning, the remaining should depend largely on Affiliate Marketing, consultancy and Services. 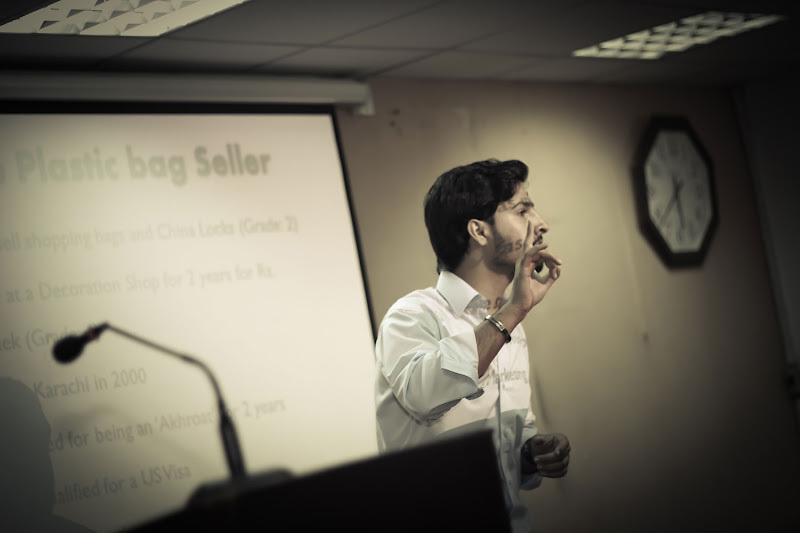 To give an example of online earning potential we shared our BUYSELLADS earning with the audience just to clarify the doubts that whatever was coming next in the presentation slides was not just a verbal speech but a practical online earning approach. Economic Recession is growing rapidly worldwide and so is unemployment. Unless young individuals are encouraged to develop skills during their academic lives and apply them online, the traditional Boss & Worker(slave) culture would never stop prevailing. I have always emphasized on learning less and applying more. Higher education is good only if applied else you are moving ahead with no clear goal in mind. The children deserve to explore their business skills and parents must encourage them with their small entrepreneurship ideas and provide them with all required resources in order to turn them into a Man rather a Milk Feeder. This one habit of applied education has turned several individuals into Millionaires and they are still not done counting the coins. Some quick captured highlights by our personal Photographer "Saad Khan". 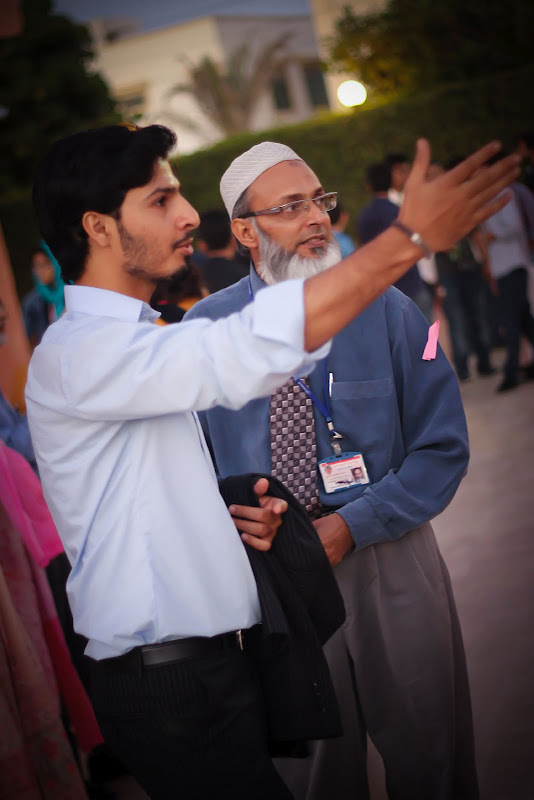 After the presentation, Mr Iqbal Jamil and a fellow faculty member (I honestly forgot the name of this great man) took me for the university tour. It was no less than an honour. 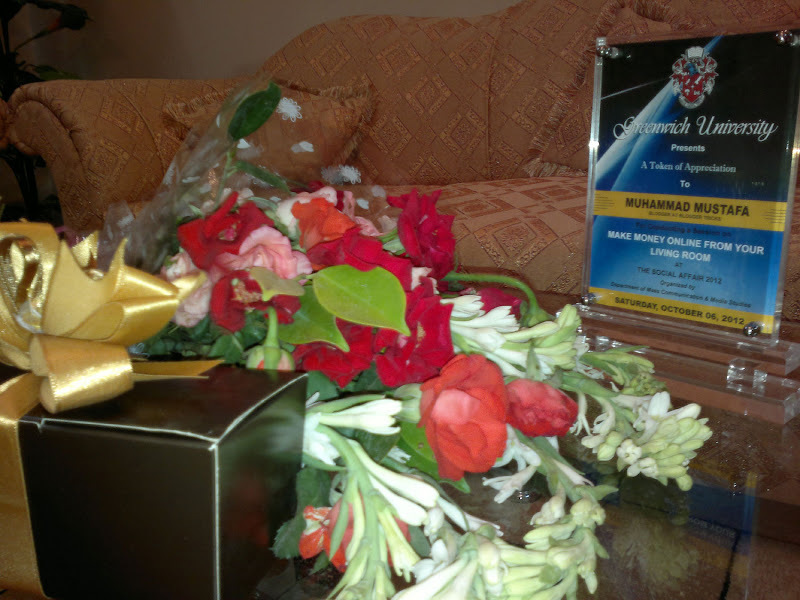 A beautiful flower bouquet , a bag full of chocolates and a shiny glass honor award are just few glimpses of the warm hospitality I received from Greenwich university. I simply can't thank them enough. This meant a lot! 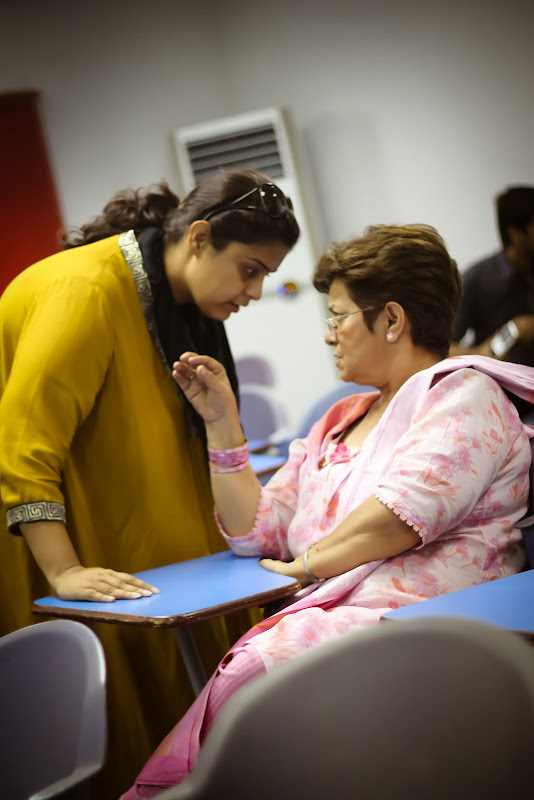 First and foremost Mam Saima, the Media and Marketing teacher at Greenwich for honoring us with such an opportunity to express our views in front of students. 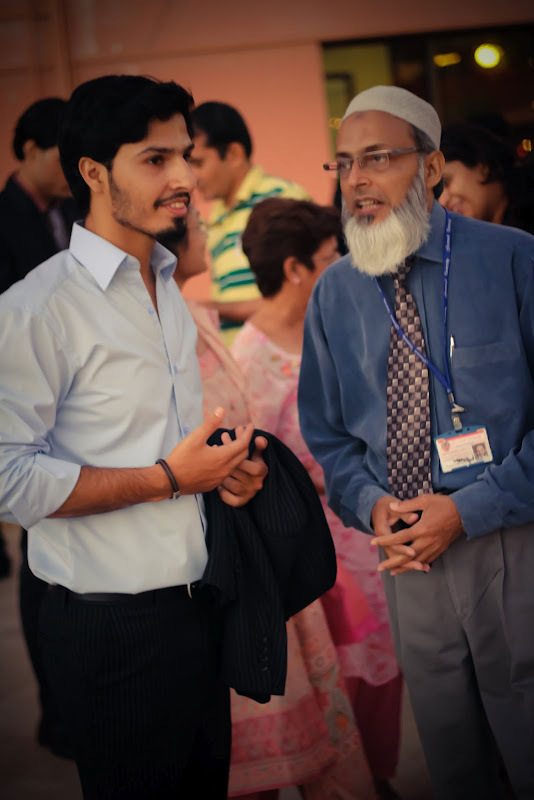 Then my home buddy and childhood friend Paji (Mohsin Mirza) for companying me. I would like to thank all MBT readers who took out time out of their busy schedules and for attending the event. 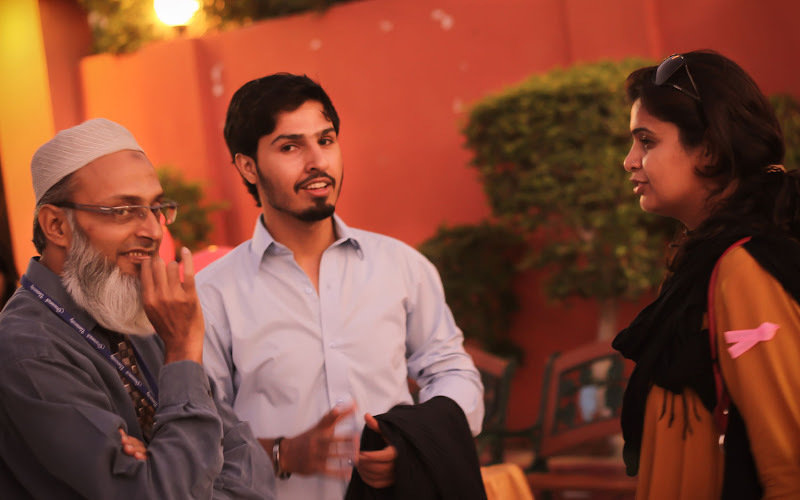 Readers who met me that day were Wali Khan form OnlineUstaad, Furqan from TheGadgetCode, Buddy Haris and Umair. Finally a warm thanksgiving to the organizers and administration of Greenwich University. You guys made it worth a memory! I would be sharing two big surprises in my coming posts with MBT readers. You guys are the reason for whatever honor I am given at home. I look forward to meeting each one of you in coming events very soon inshAllah. Thank you for everything and for being the consistent source of motivation. Wonderful! wonderful!! wonderful!!! 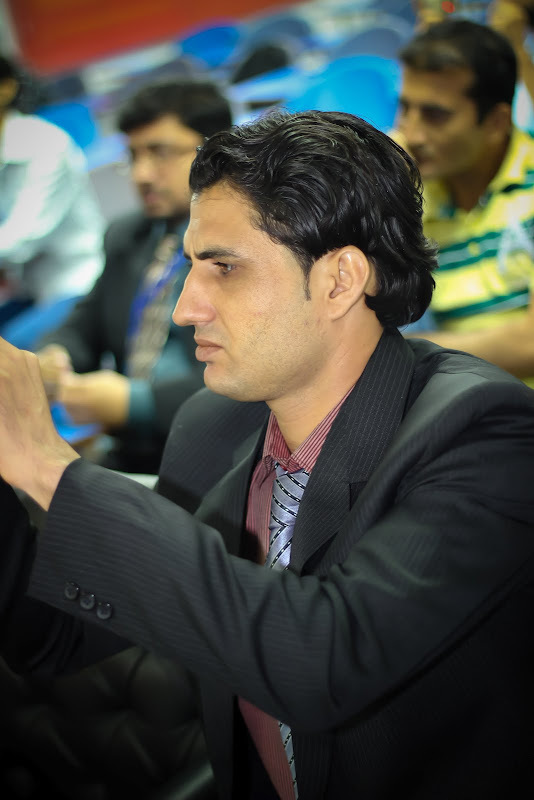 Mohammed you're great, well done bro,you give me more reasons why I need to do serious work in my online present, adsense advertisement to only take 10% and others for affiliate marketing are something that will make me want to focus on other ways of making money online other than adsense. My Buddy! Thanks for inviting me there. 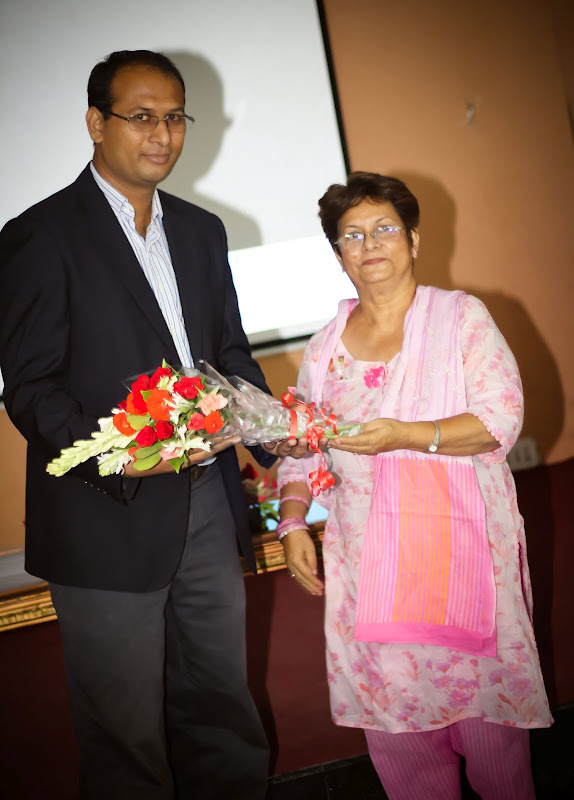 I had a great time there and felt awesome to see you presenting. I felt that I was seeing my brother's success. You were too good in motivating people. Alhamdulillah..great to know u're having great time and great fun there, Bhai. :) Keep rock and Keep it up! I really wished that i was a part of such a gathering. IA wont be missing out such a wonderful opportunity next time. May you get the best of the worlds and be a source of inspiration for the people around you. MashaAllah , 10000000 likes my dear bro, may God give you more and more success in your life. 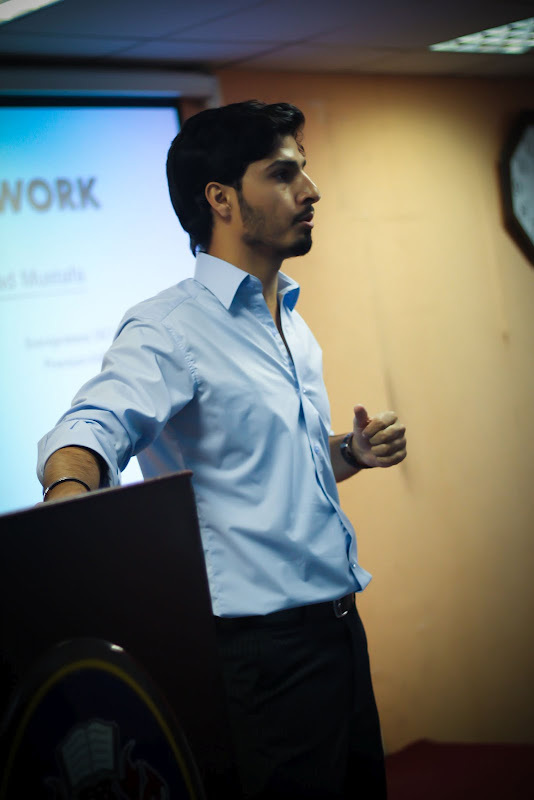 It was a great honor for me to be the part of that event and your presentation. I learnt a lot from your presentation. I felt very proud of you during your presentation. And dear a big thanks for this post. Hey, This Was Just Awesome. 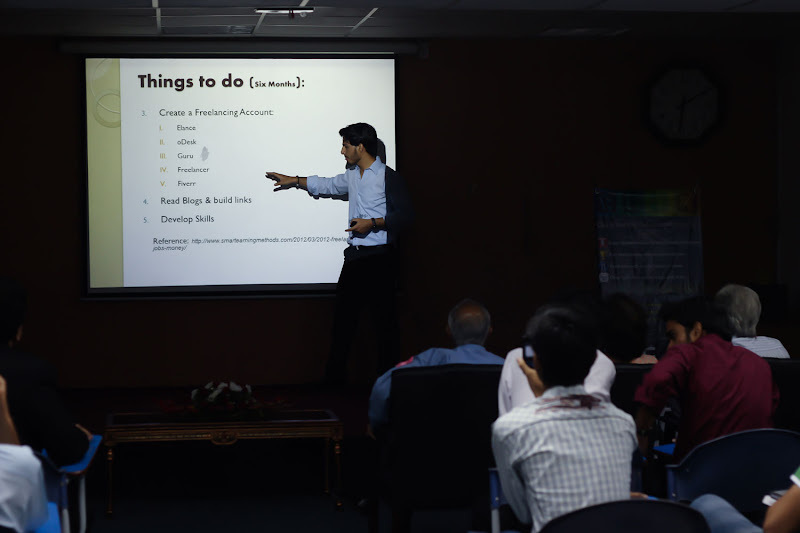 The Things were going pretty boring until The MR MOHAMMAD BRO Landed in the Seminar and Starting his a Bit Funny and Interesting Talk. I Can't Believe that How much Ups and Downs You have gone Through, Literally I Was Shocked when I heard your Child Hood Story. I Think You forgot me to Include in the MBT Readers. I Was also their though you was too buy with the other People. That at the End of the Event I Just Shacked your Hand, and You were in Rush so i was unable to Introduce my Self. Any Ways Thanks for the invitation, it was just awesome. I Only liked your Presentation Other Speakers were to Boring and were telling the basic things which we already know. You Really Won my Heart That day. Clap Clap Clap for our Mustafa brother! You are not akhrot; from now you are a butcher. Yes you are such a cruel person who deprived many of us like me not prior informing about the event and made us miss that informative event. Don't worry we would not have bothered you to get the entry pass of the event because there are several ways to crash the gate. Kia Baat hey brother...Nice..Keep it Up..
well i am one of the daily readers of MBT. and i would like to meet you in uni because I am your junior. Hats off to you for such amazing achievements you are getting. and best of luck. My pleasure Anthony. Advertisement are usually seasonal. sometimes vacant Ad spots and no reviews or contextual link ads. Thank you pal for the kind feedback! Thank you dear. I will keep you guys updated from now on. Really? :p JazaKAllah. We got to meet! That is an honor. Arabic is the second language I love to learn. Thank you khaled and I will surely be in touch with you through the new posts. Your blog is well set up and designed. Clean design and tons of useful material. There comes bhavesh! Man I honestly missed blogging myself and you for sure! Its tough being too out of touch from a hobby you do on daily basis. Looks like you are renovating the office room (living room) too. Means a lot sister. 100000000 Likes for your precious motivation! :) May God bless us all and keep you and your family at peace always. You are man of great character wali. I always enjoy meeting you. Thank you for taking out time and accompanying me that day. Thank you for that kind introductory post. Were you there buddy? Oh I must have missed you. I really looked for you in the crowd. I am really sorry, I must have gone too busy with the faculty and did not notice you. Thank you faizan for your participation and for covering the large distance. It was an honor. A butcher? Much more sweeter than the previous :p I humbly apologies that you missed it. We had informed twice all our readers both at FB and G+. had expected, I have surely stopped accepting services and I am active now to help you all just after returning from university. Oh that was an honor. Thank you rehan. I will surely take you along in coming events. Glad to see an NEDian. I am pleased to know yet another fellow uni mate at MBT. It would be a pleasure helping you. Yeah bro I just missed that Golden chance cause living really abroad (in Quetta Balochistan). Well Inshallah will meet you in future for sure! No not really.. My dad had an appendix operation recently and you know my family thoughts. We were wanting to do that work from 7-8 months but it wasn't really happening. This time we just gone for it and I don't know how long it will take to complete. 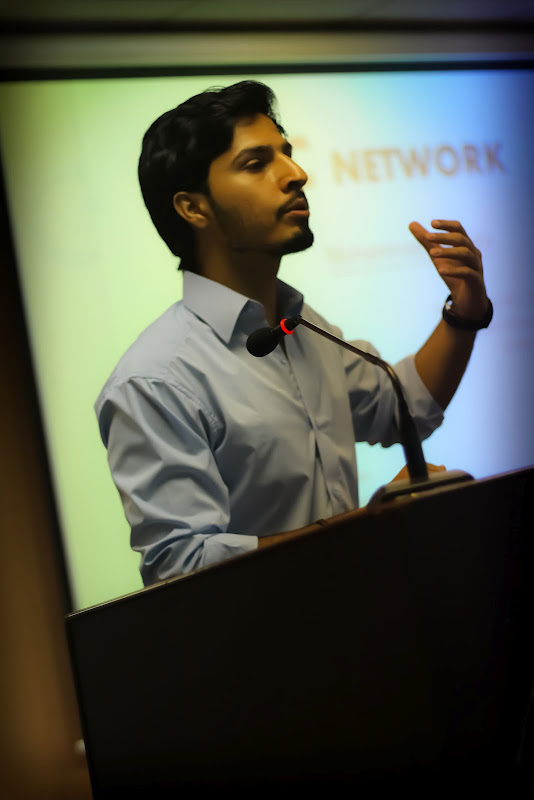 I Was Bit Nerves, LOL Thats TRUE Because I Was Seeing the Man Who Literally Changed my Life (2 Years Back I Was searching How To Earn Through Internet and Now I Tell People How They can Earn). I Could Only Manage a Handshake and a Small Hug With you and that was awesome. Next Time, I would be surly do a Big Conversation With you. Yes, My Home Was Very Far Away, but your Charimza Attracted ME. Though, I Came With my DAD Who Kept waited 4 Hours Outside the University :) Really Hats off. Stunningly My Story is LOT Similar to yours (THE CHILD HOOD ONE) Will reveal Some day. Congrats Mohammed, keep up the great work! Such a good looking and talented man. congratssssssss.brother.........u r the master of the blogger. Update: I have a new guest Speaking coming soon, far bigger this time inshAllah. Venue and dates will be shared at FB Fanpage. Stay tuned. 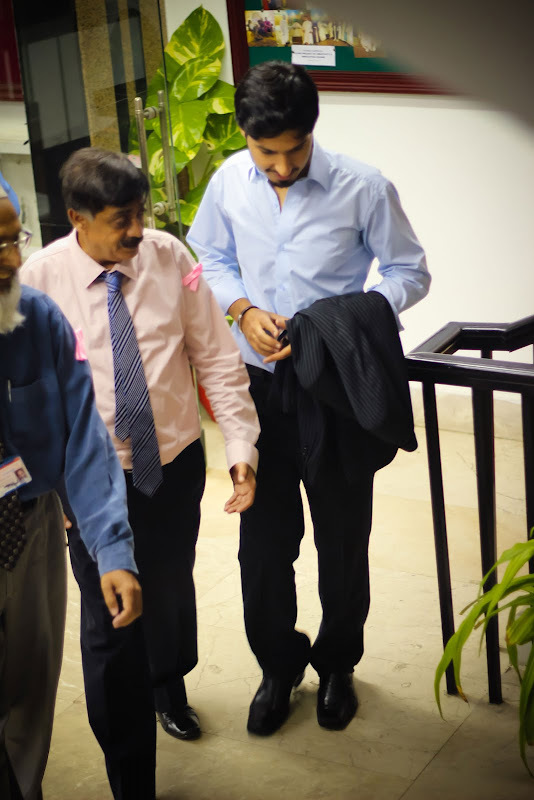 You are a humble gentleman Syed and all that you achieved so far is your keen efforts and dedication. Keep up the great spirit, I am expecting to see you really high within a short space of time inshAllah. I am really sorry you dad has to wait outside, you could request the organizers to let you in dear. wow wow.. No words to say Bro! Amazing..Just amazing! Why not visit the land of so called "Akhrots" Peshawar? Any plans? 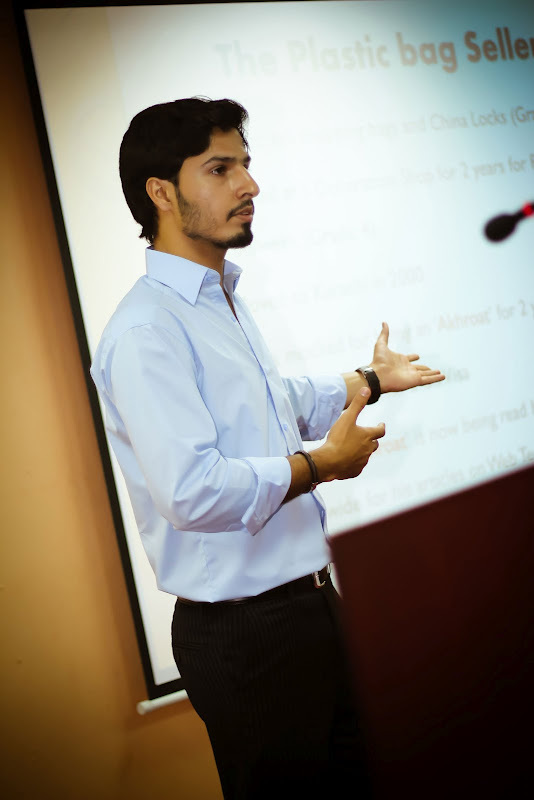 Helll Muhammad I am a young blogger and just learning things it has been a year and you are the first person I saw successful in blogging from our country pakistan , Any visit in Lahore sooner a later please tell me ? I want to know how much money you earns by blogging? What a great job you did it. wonderful! Muhammad you're great person. well done bro please keep it up.